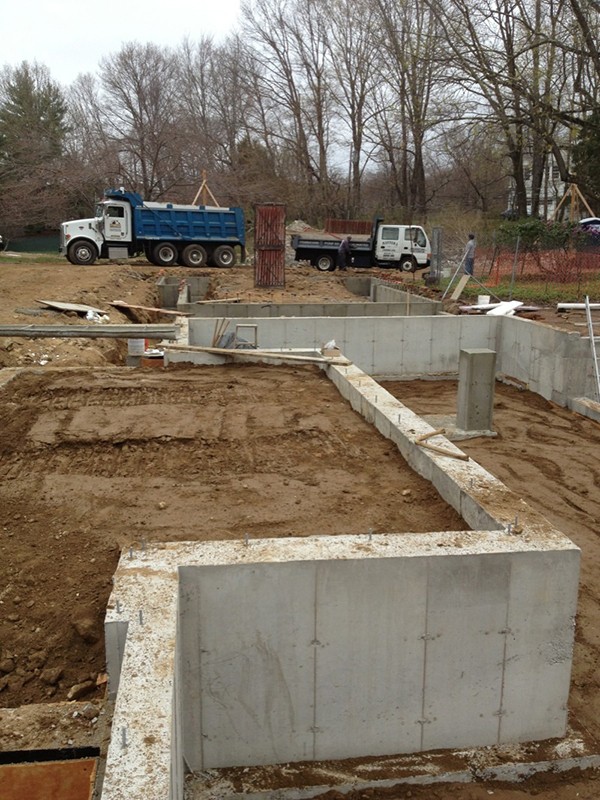 Residential and Commercial concrete and excavation work by Oly Mattera Construction in Fairfield County, Conn.
Site Clearing To Grading, Drainage and more... We can do it all. 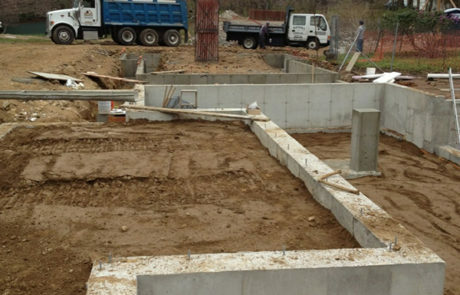 Specializing in residential and commercial concrete and excavation work, Oly Mattera Construction has served the Fairfield County, Conn., area for over 50 years. As a full-service construction company, our employees focus on getting the job done right the first time. If you’ve got a construction project coming up, contact our professionals. We listen to your needs and delegate all of our work in house to ensure the highest quality. Call us with your site development project. 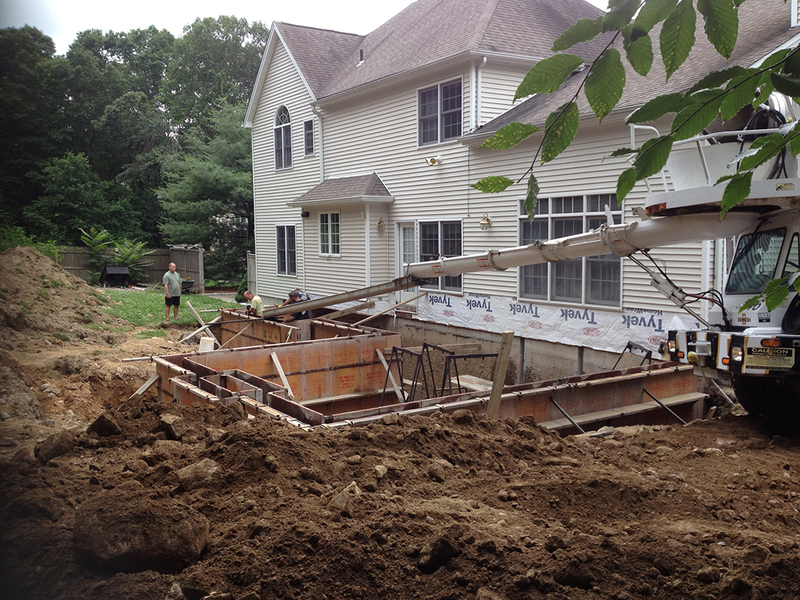 We can handle everything from excavation and foundation construction to concrete work. We cover all type of concrete work. Oly Mattera offers a complete range of excavation services. 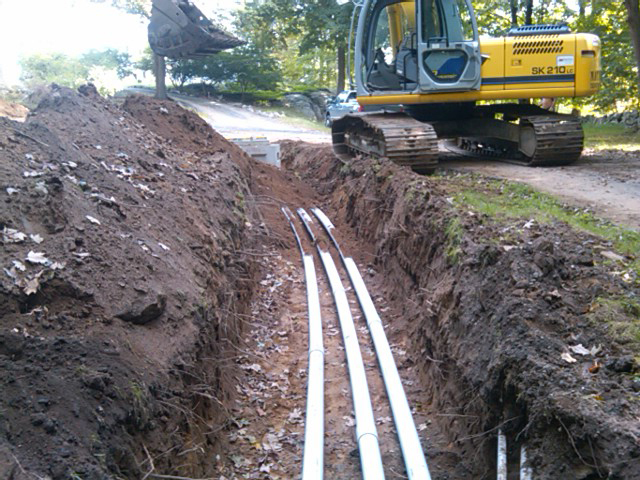 We cover all ranges of drainage & septic services. HIRING NOW. JOIN OUR TEAM! Heavy Equipment Operator with a class A drivers License. Responsibilities include daily maintenance for the equipment and truck, knowledge in excavation for residential foundations, drainage, septic systems, driving a triaxle dump truck with a 20 tin tag along trailer. Full time position 40 hours per week, paid holidays, 401K and paid vacation after you become vested. Oly Mattera Construction offers you a one-stop shop for all your concrete construction needs. Whether your project is a small patio or a larger residential or commercial structure, we can handle it from start to finish. We use high quality materials and adhere to all official concrete standards. Our emphasis on quality and proven concrete construction practices results in top-quality projects every time. 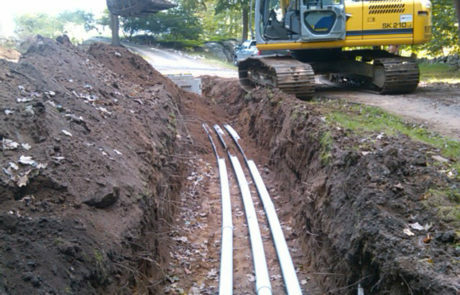 As a Fairfield County, Connecticut excavation services contractor, Mattera has completed excavation projects for individual custom home builders, residential developers, commercial builders, corporations, and utilities companies. You don’t last as a construction company for over 50 years by delivering sub-par services. In construction it’s all about the value and quality of your work. At Oly Mattera Construction in Fairfield County, Conn., we’ve succeeded by offering competitive prices and excellent craftsmanship on every job. If you’re shopping for a residential or commercial construction contractor in Fairfield County, consider calling us. We would be happy to work up a quote free of charge. Oly Mattera Construction was founded in 1961. You don’t last as a construction company for over 50 years by delivering sub-par services. In construction it’s all about the value and quality of your work.